Aug 25, 2018 – How to add flying to this thing of ours….. Investigating the possibilities: I enjoy classroom and sim instructing in these jets, but feel the need to back it up with real experience. Actually flying is more fun, gives you the street creds to speak more confidently, and I think just makes you more relatable to clients. Besides all that – it keeps me interested and growing as a pilot. I read the rules for participating in the ‘Fly for Pay’ program at work, and completed all the requirements so that I could do things the way that they wanted me to. Nothing happened. I’ve come to understand that the insurance demands placed on owners to contract our instructors to fly with them might be unrealistic for these older jets. ‘Fly for Pay’ could work for instructors in the more modern (expensive) training programs, but maybe not where I am. I did find that other instructors were flying outside of this program. Creating my own opportunities might be stretching the rules a bit, but it appears that this has been an accepted practice. In any event – here we go. Initial Experience: March, 2018. 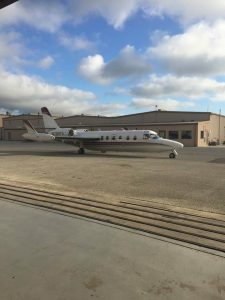 One of my clients, a successful owner/operator of a Westwind II, offered to take me flying if I came to San Antonio. I asked Eric several times if he was serious, and each time I got an enthusiastic YES – come on down. So I flew down to meet him and his family and go flying with them. Eric put me in the right seat and guided me through my first turbojet take-offs, landings, steep turns, stalls, and instrument appr0aches. What an amazing and capable guy he is, and how incredibly generous it was for him to take the time he did with me. Life is good and you just have to appreciate people like this. I’ll pay it forward – I will. I was down in San Antonio over a period of four days. We went out flying for two of them, taking short hops for lunch or to the practice area. Not only did we fly, but he allowed me to do an extensive pre-flight of the airplane, and to take pictures for the instructors back home. This guy does it right! Since I wasn’t paid for any of this, and the travel was on my own dime, none of this fell into the realm of outside flying in my view. I just went 91 flying with a friend. I’m hooked on getting more of this, though, so I motivated myself to actively find ways to make it happen (develop opportunities). Networking: The goal is to find opportunities to fly jets then, so I thought I’d try the easy way first. Find people who were already flying outside, or had done it in the past. Ask them how they got started, and then try to duplicate that. The stories from my peers are amazing, as they always are, but I found the paths they’d taken no longer existed or were not open to me. I was concerned that interrogating instructors outside of my program might make my PM look bad, so I began looking outside for ideas. I will have been at FlightSafety for two years this December. I am financially committed to a two year stay that included two type ratings in corporate jets, and will be given an opportunity to become an examiner by the end of the year. I respect the opportunities this work has afforded me, and will move the ball forward in a way that shows respect for my peers and loyalty to FSI. I like my job. Planting seeds to go flying: I have been flying for about 35 years and have formed a good number of lasting friendships doing that. Casually reaching out to them for advice, I advertised what I’m trying to do. In class, I began to spend the time getting to know the contract pilots that pass through, encouraging them to talk about how they got into the business in the first place. It was just this kind of conversation that had led to the flying opportunity with Eric back in March. One late July Westwind class included Ken D. Ken is a contract pilot flying several aircraft for a variety of owners. His situation is unique in that he had clients contacting him directly, while he was also affiliated with companies that market his services to the owners they service. Those firms had owner agreements and pilot agreements. they make their money lining the two up. It was as if he had an agent (or two) working on his behalf, that would line up jobs for him. I enjoyed talking with Ken, and we got to know each other better during those few days. During our breaks, I asked him as many questions as I could about getting established as a contract pilot. His answers were direct and to the point, and our conversation was incredibly valuable to me. He must have decided that I was a worthy candidate, as he introduced me to two of his contacts before he left. He went even further and vouched for me to both of them. I followed up the very next day. One of those contacts blew me off, promising to keep my information on file for the future. Yeah, Right. The other one signed me up enthusiastically, however, so the story continues. I am now affiliated with a contract pilot company, based on Ken’s recommendation. It feels wrong to be working full time for FSI, while also being affiliated with another organization at the same time. It should be good, since this new firm only calls and offers trips. It doesn’t control my schedule in any way, and I’m under no obligation to do anything. My priorities are clear, and my loyalties to FSI and my teammates are intact. The onboarding process took a month to get sorted out. I’ll only ever schedule a flight when I know that our FSI coverage is solid, and I know I won’t be putting anyone out. The Westwind / Astra schedule is very light at the moment, which bodes well for an uncomplicated foray into this process. If it ever become a sticking point – FSI wins and I’ll find another way. The truth is that I need something to keep me busy, and the money is very good for this retirement gig. I don’t want to mess this up. I like the people I work with allot, and I get to talk about airplanes and play with simulators all day long. My Program Manager knows what he is doing and directly manages quality of life for those on his team. FSI is doing right by me and I want to stay for the time being. First flight: Three weeks after signing up and I still hadn’t heard that I’d been cleared to fly yet. They told me it typically takes a full month, so I sat back and waited for an email. At this point, I was still not sure if this company was blowing smoke or not, but I had little to lose in trying. My first assignment actually came before I ever got the email saying all was good, and I’ll talk about that in the next post. I can now add the title ‘contract pilot’ to my resume.